Each year, the College of Arts and Sciences Honoring Excellence Dinner and Ceremony recognizes a distinguished few of our more than 200,000 alumni. Their accomplishments are tangible evidence of the lasting value of an arts and sciences education. Their contributions to their fields, communities, country, college and university make a lasting difference — locally and globally. The Distinguished Service Award recognizes exemplary service to the College of Arts and Sciences, its faculty, students, prospective students or programs. The Young Alumni Achievement Award recognizes an alumnus/a, 35 years old or younger, who has demonstrated distinctive achievement in a career or civic involvement or both. The Distinguished Alumni Achievement Award recognizes the outstanding career achievements and contributions of our alumni in fields such as arts, business, research, academics and public service. This year, the April 13 event honored five alumni and one student for their extraordinary achievements and service, spanning the fields of law, technology, international relations, television, retail consulting and philanthropy. 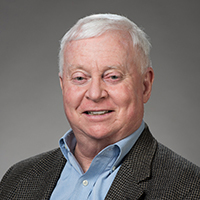 Murnane (marketing, business administration, 1970, 1977) is a co-founder and principal of ARC Business Advisors, a strategic advisory firm focused on apparel, retail and consumer industries. Murnane currently serves as a director and chair of the audit committee for Blain Supply; as vice chair of Goodwill Southern California; and as a member of the advisory board of SIRUM, a nonprofit organization that matches unused medicines with indigent patients who need them. He started his career as a partner at Management Horizons, a division of Price Waterhouse, working with many of the largest and most recognized companies in the United States, and eventually becoming the global director of marketing and brand management. Murnane is active in the Ohio State community, serving as the vice chair of the President’s Alumni Advisory Council and as the vice chair of the Arts and Sciences Dean’s Advisory Committee. 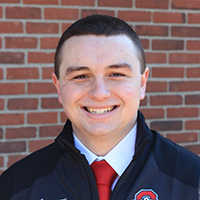 Whiddon (political science, 2018) received this award while a fourth-year undergraduate student at Ohio State, double majoring in economics and political science, and minoring in history. He served as a student representative with the Arts and Sciences Alumni Society Board of Directors since the spring of his freshman year, helping to organize multiple alumni events and initiatives. Whiddon also worked with Arts and Sciences Advancement to create the Student Ambassador Program to further assist the college in connecting students with alumni. Additionally, he had a hand in developing Framework 2.0, a long-term plan to develop Ohio State’s Columbus campus, working with President Michael V. Drake and other influential members of the Ohio State community. Through his role, he was able to provide student input to the president’s planning committee, ensuring that the student voice was heard throughout the planning process. Whiddon maintained academic excellence throughout his undergraduate career, making the Dean’s List every semester. He was also a member of the national political science honor society Pi Sigma Alpha. He will be attending law school this fall. Jenkins (communication, 2009), a former Ohio State football player, is currently a safety for the 2018 Super Bowl champion Philadelphia Eagles. He also holds the honor of being the first Buckeye to win a Super Bowl with two different teams, first with the New Orleans Saints in 2009. 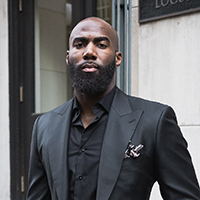 In 2010, he launched The Malcolm Jenkins Foundation, a nonprofit public charity with a mission to bring about positive change in the lives of youth in low-income communities. The foundation emphasizes education, health and wellness, life skills and scholarship. This past year, Jenkins was the Eagles’ nominee for the Walter Payton Man of the Year Award to commend his humanitarian work and was the recipient of the NFL Player Association’s Byron “Whizzer” White Award for excellence on and off the field. During his senior year at Ohio State, Jenkins served as team captain, was a consensus All-American selection and was awarded the Jim Thorpe Award, which is given to the nation’s top defensive back. In 2012, he was awarded the Jesse Owens Influential Athlete Award by the Ohio State Alumni Association. 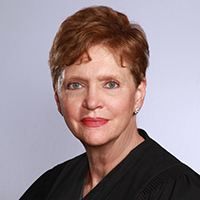 McMahon (political science, 1973) has served as the Chief Judge for the Southern District of New York since June 1, 2016. She was appointed to the bench by President Bill Clinton and confirmed on Oct. 21, 1998. Prior to being appointed to the federal bench, Judge McMahon worked in private practice for 19 years at Paul, Weiss, Rifkind, Wharton & Garrison, becoming the first woman litigator elected in the partnership. She has also chaired multiple committees, including the Committees on the State Courts of Superior Jurisdiction, Women in the Profession of the New York City Bar Association and a commission to reform the New York jury system. She was nominated to the New York Court of Claims in 1995, where she served as an Acting Justice of the State Supreme Court until her appointment to the federal bench three years later. Judge McMahon continues to be an active member of the Ohio State community by serving on the Arts and Sciences Dean’s Advisory Committee. 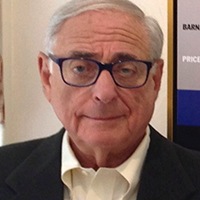 Silverman (speech, 1960) is president of The Fred Silverman Company, a multifaceted production and program consulting entity. Some of his clients have included MTV Networks, Chris Craft TV Stations, ABC Entertainment and Discovery’s Hub Channel. The New York City native has worked for all three leading television networks — CBS, ABC and NBC — and is the only individual to ever do so. His leadership and expertise played a significant role in the creation of popular television shows such as Charlie’s Angels, Battlestar Gallactica, Family Feud, Late Show with David Letterman, M*A*S*H, The Price is Right and Roots. Throughout his career, Silverman has received honors for his work in television, including induction into the Academy of Television Arts and Sciences Hall of Fame and the Man of the Year Award from the National Association of Television Program Executives. He has also been honored with the Man of Achievement Award from the Anti-Defamation League of B’nai B’rith and the Richard Rogers Award from the Professional Children’s School of New York. 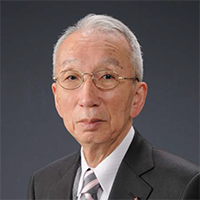 Takeda (physics, 1969) is president of Takeda and Associates in Japan. He also serves as senior advisor to the President’s Office at Nagoya University and a management advisor at RIKEN, Japan’s largest comprehensive research institution. As the senior advisor to Japan’s Minister of Education, Culture, Sports, Science and Technology, he has been heavily involved in Japan-United States relations, helping to foster a spirit of collaboration between universities and research institutions in Japan and the U.S. In March 2017, Ohio State formalized a faculty exchange program between Ohio State’s Translational Data Analytics faculties and the Graduate School of Information Science at Nagoya University in Japan. The partnership enables data scientists from the two institutions to share knowledge and ideas while extending Ohio State’s global outreach to a world-renowned university in Asia. Takeda’s interests extend beyond data analytics to other areas of academia, including chemistry, peace studies and international affairs. His extensive experience and knowledge have earned him spots as a member or chairman on multiple government committees concerned with energy, technology and industrial policy in Japan.